The "El Mirage" Chronograph is fashioned in a specialised bronze case with a satin-brushed finish. The central champagne dial is contrasted with brown small seconds and minute counters, with a matching minutes track. 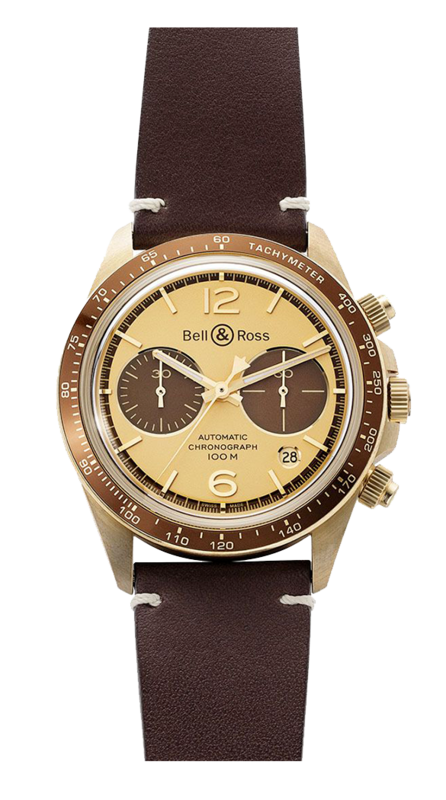 Framing the dial is a light brown anodised tachymeter bezel, dressed in a brown calfskin strap. Case: 41 mm in diameter. Satin-polished bronze. S bezel with tachymeter scale. Screw-down crown and push-buttons. Sapphire case-back. Dial: Champagne with brown subdials. Metal applique numerals and indices. Metal skeletonised Superluminova®-filled hour and minute hands.